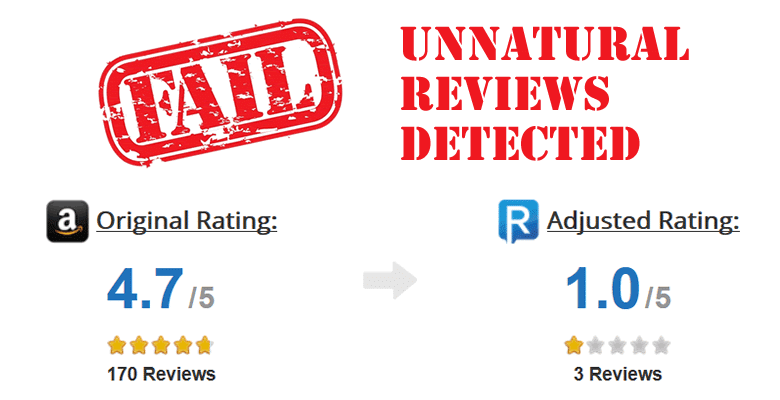 We found that reviews containing language that would indicate the reviewer received the item for free, or at a discount, in exchange for a review (incentivized reviews) on average rate the product 0.38 stars higher than reviews that did not contain this disclosure (non-incentivized reviews). 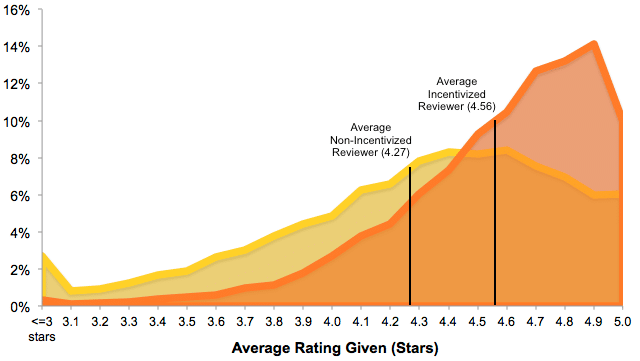 Incentivized reviewers are 12 times less likely to give a 1-star rating than non-incentivized reviews, and almost 4 times less likely to leave a critical review in general. An obvious criticism to the above data is that these reviews are for different products. However, even when controlling for the product we see a similar trend. 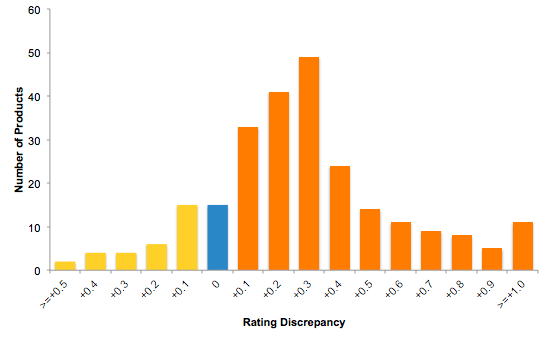 We also took a closer look into a counterexample (a product that received a lower rating from its incentivized reviews than its non-incentivized reviews) and noticed that when this happens, it can be caused by the non-incentivized reviews being even more biased than the incentivized reviews. We also examined the habits of reviewers who participate in these “free product for review” programs. We only looked at reviewers who have written at least 10 reviews total. 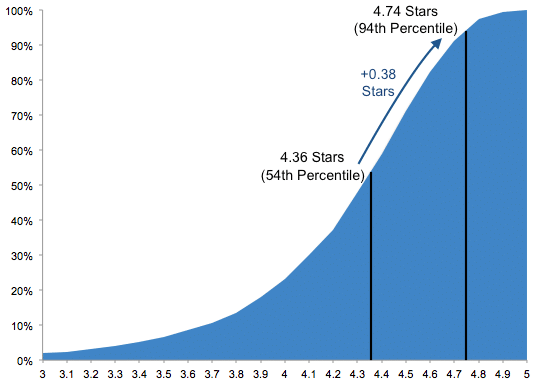 We found that on average, reviewers who have written at least one incentivized review give an average of 4.56 stars, while reviewers who have never written any incentivized reviews give an average of 4.27 stars. 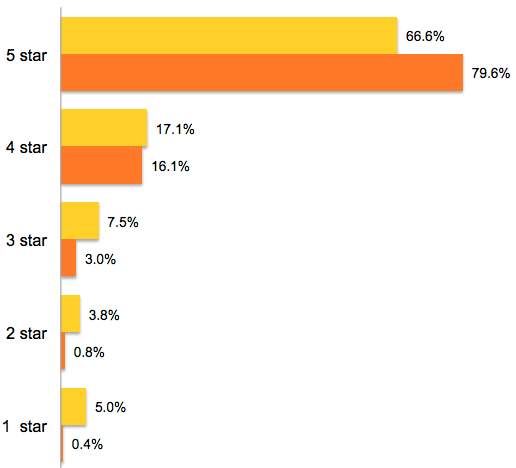 The chart below shows the percentage of reviewers for each average rating. For example, 14% of reviewers with at least one incentivized review give an average of 4.9 stars for all products they review, while only 6% of reviewers with no incentivized reviews give an average of 4.9 stars for all products they review. myreview2: 970 reviews, every single one is 5-star. Notavailableonhere: 758 reviews, every singe one is 5-star. 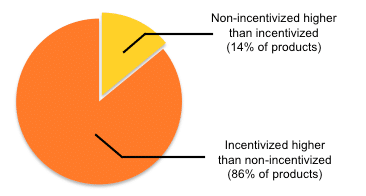 2 years ago, incentivized reviews accounted for less than 2% of new reviews. Since February of this year, they make up the majority of all new reviews on Amazon. Amazon Vine is Amazon’s in-house free-product for review system. It is invite-only, often focuses on larger-value items and can even require the reviewers to return the item. Amazon Vine reviews are NOT included in our incentivized group because they are NOT required to leave the “free product” disclaimer since their reviews are already labeled with the “Vine” badge. 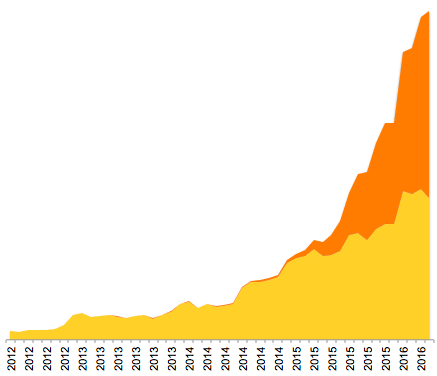 Amazon Vine reviews make up roughly 4% of the reviews in our dataset, and give an average of 4.2 stars (compared to 4.74 from incentivized reviewers and 4.36 from non-incentivized), so at first glance, it seems to be much better controlled than their “review club” counterparts. We’ll be doing an in-depth analysis on Vine reviews shortly. Where do these reviews come from, and why are they biased? Incentivized reviews are a new and rapidly growing breed of review. While some people label them as “fake”, incentivized reviews don’t technically deserve it because they are likely from real people who had a real experience with the actual product. However, the data still shows they still have a bias – despite their claims to the contrary. Dozens of “review clubs” (3rd party services) have popped up in the last few years to facilitate the exchange of free or discounted products for “honest” reviews. This is fair game according to Amazon’s Terms of Service as long as the reviewer discloses this fact. No matter what explanation you choose to believe, it’s hard to argue with the data. Some might try to debunk our entire analysis by citing evidence that they (or a friend/family member) accept free products in exchange for reviews, and they always leave 100% honest feedback. We aren’t calling them a liar; of course there will be “honest” reviewers who participate in these programs. But this is the very definition of anecdotal evidence, and our analysis is on the bigger picture. You can follow ReviewMeta’s research by subscribing to their mailing list, following them on Twitter or liking them on Facebook.